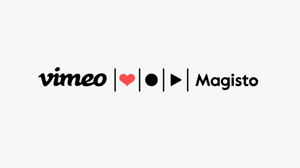 Starting today, Vimeo PRO members and Vimeo On Demand sellers can allow people to download 4K video files. That’s right, video viewers: super-crisp vids can, in fact, be yours. Creators have been able to upload in 4K for some time, but now these files can be downloaded and played on those fancy, 4K-compatible displays some of us are lucky enough to own. Video Game High School: All 3 Seasons - Trailer from RocketJump on Vimeo. In the meantime, enjoy those highly defined downloads! I was wondering when you guys gonna feature 4k streaming on vimeo, since others are doing this already. I recently released my first 4k video on vimeo. I have made a download link available on the video description. I don't get it. For as long as I can remember, anyone could go to the Download button on my clips from my Vimeo Plus account, and select the "Original" file for downloading in full UHD-4K. What has changed? While downloads of 4K source files were always available, we're transcoding in 4K now and allowing downloads of those transcodes. In other words, PRO users upload in 4K and we transcode the video into 4K - and the 4K videos you upload now will be ready when we enable 4K playback on-site. I agree with FocusPulling, the announcement is very confusing and doesn't say at all what your clarification states, Tommy. However, thanks for responding and setting the record straight. What a weird announcement of basically....nothing!!! I am anxiously awaiting to be able to offer my viewers not only to download when needed a 4K version but also allow them to watch it in 4K on Vimeo without having to send them to Youtube!!! Come on guys, let's get with it, Vimeo is the filmmaker portal and we are so behind the eight ball!!! Look forward to a 4k streaming option from Vimeo (http / progressive). Been mastering in 4k for awhile now! Thanks, guys! What format/codec are the 4K videos encoded in? What's the bitrate? Please add a loop button, then we will load up tonnes of 4k video. Otherwise it is useless to us. Broadband providers already have speeds capable of streaming 4k video. There are a lot of paying members on here so the infrastructure for 4k streaming should already be in place, this to me is inexcusable. The optimum for 4k streaming 20mbps and the average speed from providers is enough. You have an entire community of action videographers that would love 60 fps as well. I would upgrade to plus or maybe even pro if it allowed 1080p at 60 fps. I definitely second being able to deal with 1080p60 material. YouTube started to support playback of 1080p60 in October, and it's free... although the general quality is lower in comparison to vimeo... I hope this will become available to us soon! 60P should come with 4K...it'd be a no-brainer for all lower resolutions. Give Vimeo some time, they're probably dedicating lots of resources to a new Android App...or maybe not. Very cool! Dreams come true. Is there a category for 4k-videos? Let's say I'm interested in all VOD-stuff that is available in 4K - is there any overview? What on Earth is an "IMAX TV" supposed to be? IMAX is a film format, it is roughly equivalent to 70mm film. So there are special IMAX cinema screens, but in the case of a TV screen, I believe the comparison with this film format is utterly irrelevant. So how do we go about posting 4k content so it's easy to stream... is it 'automatic'? I've posted one 4k video - vimeo.com/103086333 - a high speed camera test shot (very simple), if I could I'd ONLY let it be viewed at 4k because even 1080p really doesn't work in this case (lots of fine flying particles) but it looks pretty nice at 4k. Youtube provides 50fps, 60fps & 4K support. As a paid custumer, I'd like to have the same features or at least MORE SPACE each week to upload 4K files. 5GB is not enough ! Hurry up with the 4K streaming guys. Your customers are precisely the kind of creators most likely to want/need this. Not to repeat myself too much, I'll just link my feature request from one year ago. Hey guys, check out this 4K-Film we did. Its special, as we didnt use any VFX in the post for all effects. Its about the feeling when listening to YOUR favourite music. Hope you like it! And please download it in 4K if you wish!! You mention that "Starting today, Vimeo PRO members and Vimeo On Demand sellers can allow people to download 4K video files. That’s right, video viewers: super-crisp vids can, in fact, be yours"
A friend just went to a link I posted of 4K content (he's not a Vimeo member) but there is no option to download the "original" file. I logged out and tried the same thing...and there is in fact no option to download the 4K file. So I think it should be noted that only MEMBERS of Vimeo can download 4K assets - not "People" which I would assume means everyone on the planet that is a human being with an internet connection. So this is announcement of now being able to download transcoded 4k content instead of the source files? How is that supposed to be an improvement? Vimeo is behind and it's a paid service -- as much as I'm concerned that's inexcusable. Also charging for being able to upload 1080p at this age is ridiculous. Why would I add to the toll of mounting subscription fees something that I can have for free? The only thing keeping Vimeo competitive, and alive at all, is the community -- the community I feel you fail to serve. However it's just fraction of the community -- on forums, blogs, or FB groups Youtube videos can be embedded just as easily as Vimeo's. And if I want to allow download, I'll add a link to the original in Dropbox. I am a Pro Member and have always enjoyed Vimeo's ease of use and quality. I have been in the photography game for 42 years and at 54 years of age still have to keep investing to protect my good standing with clients. 4K is not something that was invented yesterday. If Vimeo wishes to maintain the esteem amongst videographers that is has worked hard for over the years, it needs to make a statement. 4K is easily available on YouTube. Vimeo might want to offer 5K if it wants to continue to be the best of the best. I just purchased a Gh4, a camera that has been available for a while now. Yet there is no tangible methodology of viewing it's technology to the fullest on Vimeo. I love the service, that's why I am a PRO Member. But someone is asleep at the wheel at Vimeo. I mean Apple has brought out a 5K monitor.... c'mon guys... get your binoculars out and remember why you were so successful in the first place. Es mejor YouTube pura mala honda este sitio. We shot ours in 4K HDR. As of now, there are only about 2 projectors that can play 4K HDR. Here is an HD teaser...film is going into the festival circuit this year. I am using firefox and I am unable to watch 4K here. What to do? I see 1080p only. thanks. Hey Andrea, we don't offer 4K streaming just yet but PRO members can make their 4K source files available for download! Where are we with 4k streaming support? If Vimeo offers streaming 4K won't the viewers be required the fastest internet available? What down load speeds will be required to support 4K?